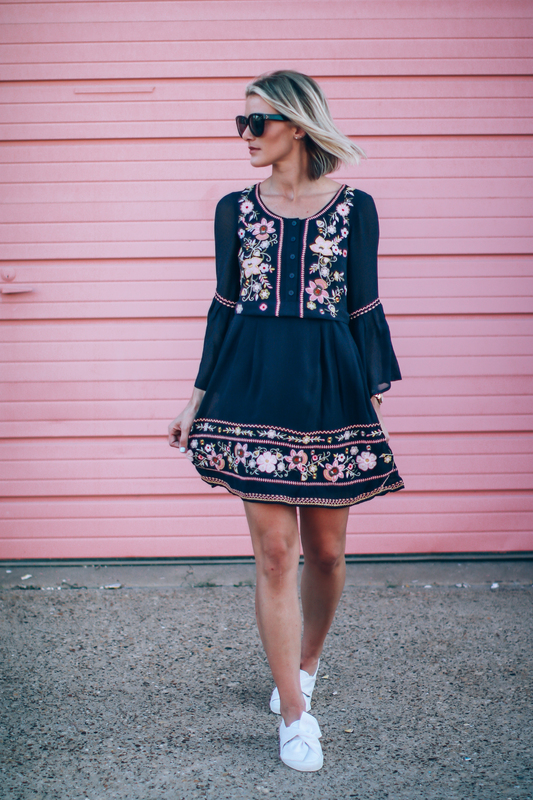 When done right, a dress and sneakers have to be one of my favorite combos. 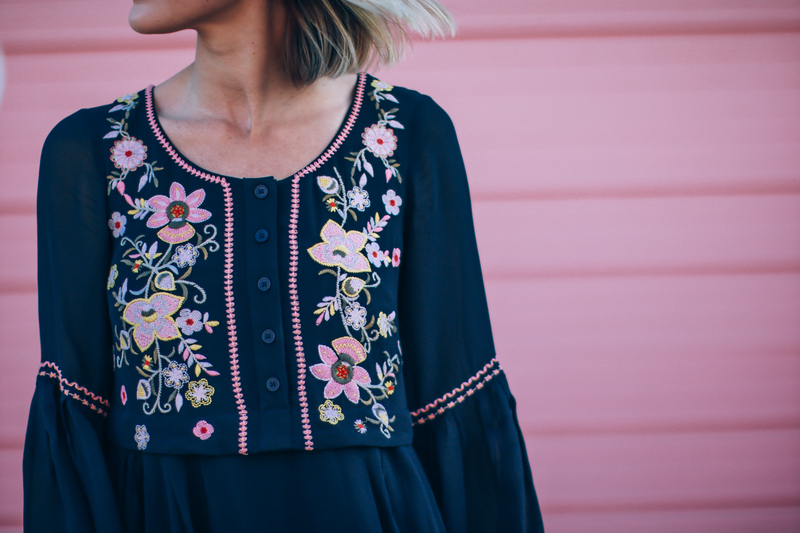 Especially when leather sneakers are paired with a very girl dress like this cute embroidered dress (currently on sale FYI) from French Connection. I love the balance of feminine and masculine they each bring to the look. 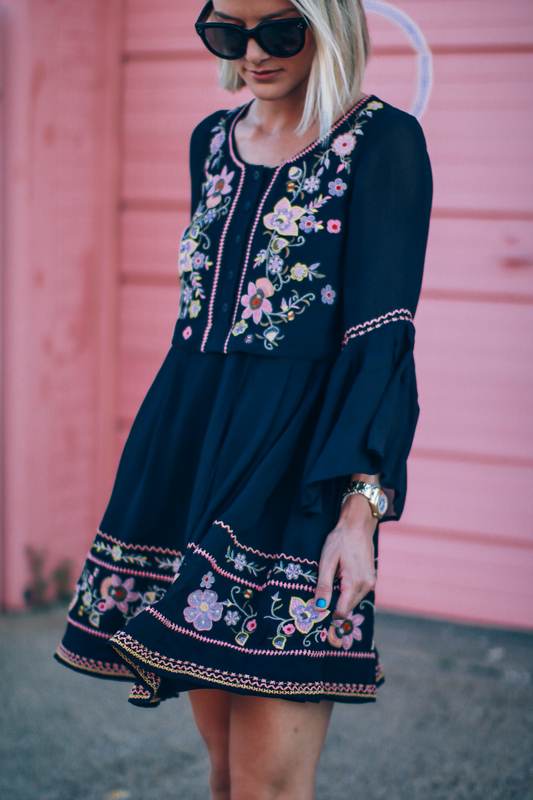 For summer, I love wearing maxi dresses and sandals…but for shorter dresses I like to go with a sneaker. It’s the perfect way to add some edge, still be comfortable, and flatter those legs you’ve been working on for your time at the beach/pool this summer! If you follow me on Instagram, you know I’ve been wearing the hell out of these white bow sneakers. I love that they just slide on and literally go with EVERYTHING (+ very affordable). 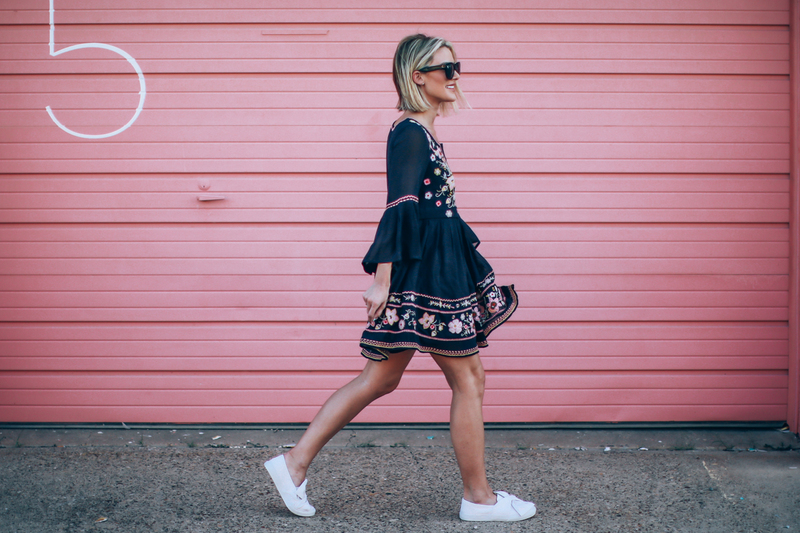 For all you girly girls out there, what do you think about wearing a dress and sneakers? Would love to hear your thoughts in the comments below 🙂 As always, thank you for reading. Happy Friday!! XO.